Hey Guys! Hope you all had a sweet weekend. I spent mine painting our basement like I was born to do it. Even though I spent so much time in the basement, I made it a priority to get in some of quality time in the garden, one of my first times being able to do so all summer. I spent the good part of a day cleaning out my overgrown lettuce garden, weeding, and repairing and reseeding the lawn where it had been damaged during the egress window installation. I feel much better about where things are now after putting in a few hours of dedicated cleaning up. Anyway, I rewarded myself by making a few bouquets for the house, something I’ve been making time to do all summer. It doesn’t take much to make a pretty bouquet from garden flowers, anything and everything can be used and it doesn’t need to be flowering to be pretty. Earlier this summer I made a lot of Hosta bouquets filled in with Salvia and Ferns, which are highly beautiful on their own. Now I have a few more flowering plants popping up in the yard (like Zinnias, Dahlias and Phlox) and I’m adding them into my summer bouquet repertoire. 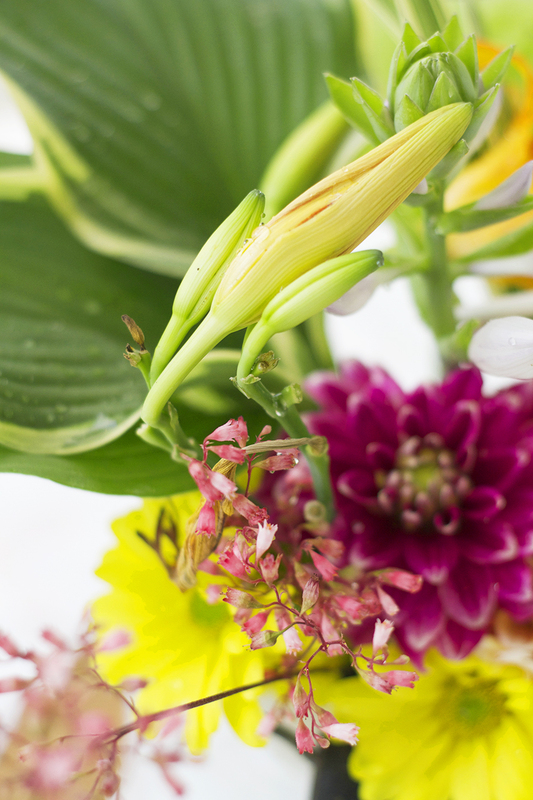 Simply put, anything from the garden can be used in a bouquet. 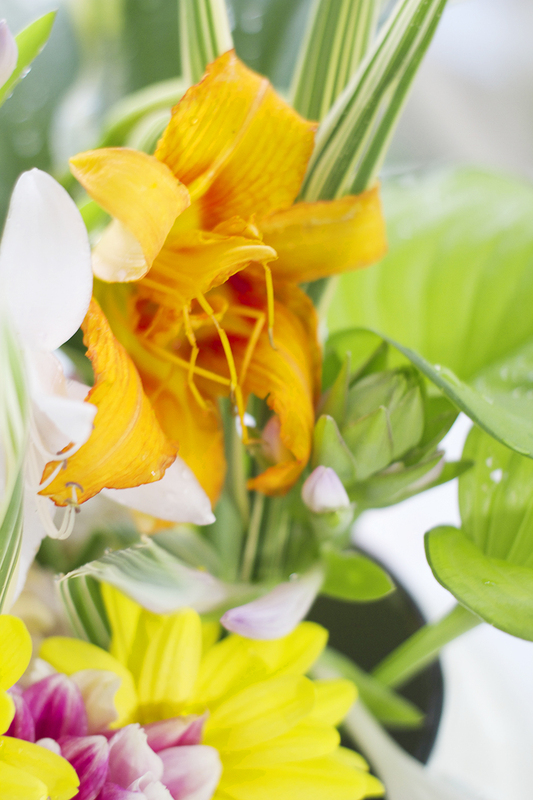 Don’t be afraid to try all sorts of combinations of foliage and flower – it’s all pretty! 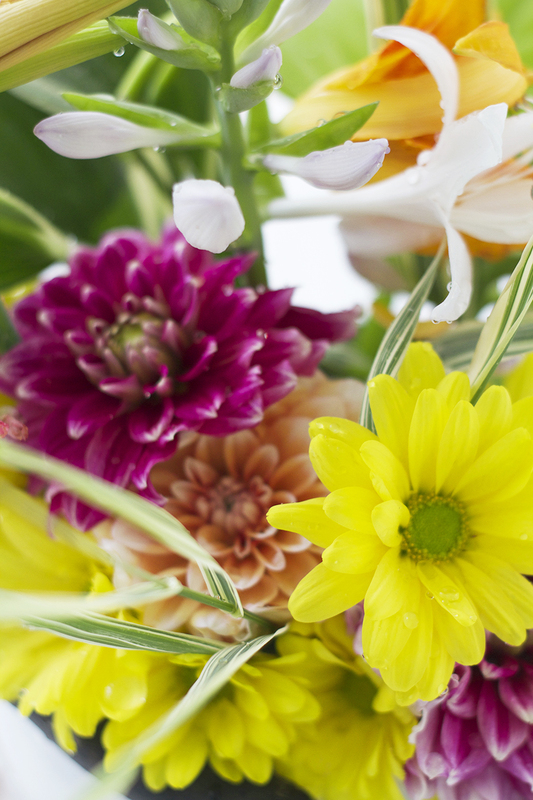 So cheery…cheers to gardens! Happy Nesting.